Psychological science may just be in the midst of a renaissance. After waves of revelations about the apparent inaccuracy of research, questionable statistical practices and the lack of successful replications of psychology studies, are there signs that the tide has turned? In 2011 a number of events led psychology into a period of scrutiny, resulting in many of the changes we have seen in recent years. In that year social psychologist Diederik Stapel was suspended from Tilburg University for fabricating data. Papers were also published illustrating how p-hacking, or picking out significant results and data without having a hypothesis of effects beforehand, can lead to spurious false positives – for example how listening to music can statistically be shown to reduce one’s age! The authors of that music paper, Leif Nelson (University of California, Berkeley), Joseph Simmons and Uri Simonsohn (University of Pennsylvania), in a new pre-print article (reported by Christian Jarrett on our Research Digest blog), have turned their attention to psychology’s changing face. They suggest that thanks to the increased prevalence of data-sharing, open-access publication, pre-registered studies, publishing negative findings and attempted replications, psychological science is experiencing a renaissance. Pre-registration is a model of publishing where a research question, methods and suggested analyses are pre-registered with a journal prior to data collection in an aim to shift the focus in publishing from a bias towards positive results to one where methodology and research questions are more important factors. Around 80 journals now accept registered reports in some form, thanks largely to advocacy of the cause by Professor Chris Chambers (Cardiff University) – in 2012 that number was one, with Cortex (Chambers being on the editorial board) being the first to accept them. The renaissance in psychology has also led to open, public scrutiny of some academic work on blogs and Twitter. Several researchers turned their attention recently to the findings of food psychologist Brian Wansink and detailed their concerns over many of his findings and methods online. Amy Cuddy’s work on power posing has also come under detailed and public scrutiny. Some have called this ‘methodological terrorism’ or bullying, while others argue open debate and scrutiny are an essential part of academia. 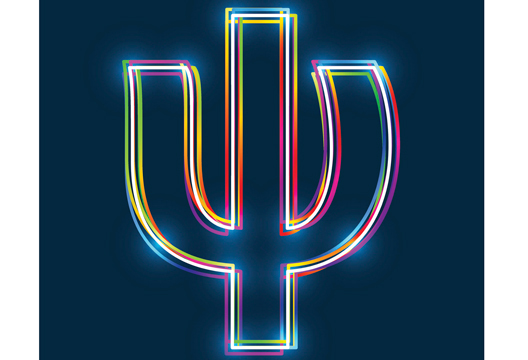 One example of large-scale collaboration is the recently-founded Psychological Science Accelerator, which is bringing together a worldwide network of labs to work on replications and other hypotheses. Founded by Christopher Chartier (Ashland University, Ohio), who initially hoped to create a CERN for psychology, the Accelerator already has 180 member labs in 40 countries. Anyone can submit research proposals to the accelerator, which are reviewed and selected by a large subset of network members. The group has recently selected its first study to work on: Ben Jones and Lisa DeBruine (University of Glasgow) proposed to test whether Oosterhof and Todorov’s (2008) valence-dominance model of social perception generalises across world regions. - Find much more on these issues in our archive, and also see our recent interview with Marcus Munafo.